Eye Doctor Singapore: When to see an eye doctor? This entry was posted in Eye Doctor Singapore: When to see an eye doctor? and tagged IFTTT, Tumblr on March 17, 2017 by zednetwork. Lasik Surgery Checklist – Is it For Me? 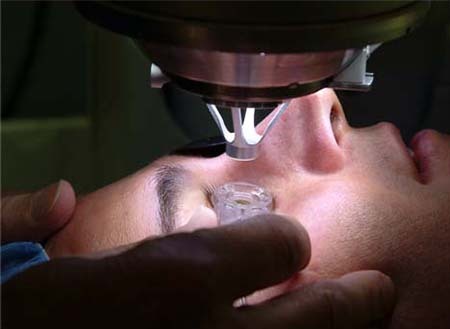 Lasik is the short form for Laser-in-situ-Keratomileusis. It involves cutting the corneal flap in-situ to work upon the cornea that is also called Keratomileusis, hence deriving its name. The process uses a highly evolved laser called “Excimer Laser” to reshape the cornea to correct the refractive error, enhance vision and remove the need to wear contact lenses or the eyeglasses. Cornea is the front transparent portion of the eye and doctor can reshape it using laser such that the light is focused better on retina thereby improving vision. The Lasik treatment is attributed to one Pallikaris from Greece, who invented this method in 1991. Since then it has evolved considerably to become the most sought after treatment for correcting refractory errors in the eyes. The operation is simple. The surgeon uses either a mechanical tool or a laser to cut the cornea flap and then folds it backwards exposing the cornea tissue. Then by using the Excimer, the cornea tissue is ablated to give it the required shape so as to focus the light better on the retina. After correction, the cornea flap is repositioned and allowed to heal on its own. The vision is normally restored in 24 hours after the operation and eyes heal fully in few weeks. For any patient to undergo Lasik, there are a set of precautions to be followed to get the best out of the treatment. Let us discuss these precautions in the form of a checklist. You must get the refractive error of the eye checked properly. For this, stop wearing contact lens few weeks before check up day. Educate yourself with all the treatment methods available and choose the one that is best suited to your needs. There are many lasers in use and keep yourself aware of the laser that will be used for your treatment with reasons. Get all other health issues checked as blood pressure, blood sugar, etc. to know if you are the right person for such surgery. Also consider other related issues like the leaves that you can take from your job, time required for getting stable vision, other medical history or eye diseases that you may have, your age, the thickness of the cornea, its shape and curvature, the size of the pupil, moistness in the eyes and earlier history of any similar or another eye surgery. Get yourself fully acquainted with the risks involved in the process and weigh down with benefits, to decide if it is worth taking the risk. Some risks that are involved in the process are under correction, over correction, need of glasses or contact lenses even after the operation, the results may not remain permanent, dryness in eyes after operation, visual aberrations as halo or light sensitivity after the operation. In rarest cases, one can also loose vision. Take pains to find the right doctor. Choose one that is experienced, reputed, has access to the best of equipments and technology and is easily available to handle any complications after the surgery, if any such situation may arise. Never fall for guarantees, as it has no value in case of any surgery. Acquaint yourself fully of the precautions and care to be taken after the surgery. If you do not follow the precaution then even the best of doctor, equipments or the hospital will be of any use. Only when you follow the above checklist, you can be sure that Lasik will give you the best of results and you will get rid of the contact lenses or glasses for ever. This entry was posted in Lasik Guide on August 11, 2014 by zednetwork. If you have refractory errors in the eye like short sightedness, long sightedness and astigmatism, you may be planning to go for the Lasik surgery. Before you jump on to the bandwagon, it is a must that you acquaint yourself fully with all that is important to get the best out of the treatment. The factors that will define your experience are mainly the type of treatment that you are choosing, the kind of the instruments, tools and lasers that the doctor will be using, the quality and experience of the doctor that you have chosen. It is not necessary that a place or doctor with high fees is the best one. One much chose the right centre and the doctor based on experience and reputation in the market. To know the feedback from existing customers is a good way to know about the place. Refractory surgery techniques as Lasik are permanent and will decide your vision for the remaining part of your life. It can solve or may create more problems if you are not careful in choosing the right doctor and the right hospital. If someone claims that they will guarantee 20/20 vision or will give perfect vision for sure, do not fall for it as there cannot be any guarantees in case of surgery. Though systems have evolved overtime with more of success rates, but still one cannot guarantee success as each patient is different with his or her own peculiarities. Go for the doctor that has a good reputation and old standing in the community. One good way to find the effectiveness of a doctor is to ask about his outcomes in few cases and compare them with the Lasik equipment manufacturer’s instruction book. Go for a surgeon that has established a practice at one place, and he should not a visiting doctor, so that if you need him after operation then he should be available easily. Besides knowing the doctor, it is also important to know all that is possible about the hospital or the Lasik Centre. Check if they have the most modern equipments or not. Go for the centre that has in-house pool of experienced doctors. Hospitals running of visiting doctors are not a good place for aftercare in case you develop any complication. The centre should have required cleanliness, proper certifications, dedicated and caring staff and easily accessible location. Knowing the doctor is good, knowing the hospital is good, but there cannot be a better way to get the things that you are paying for, than educating yourself as much as possible. It will help you chose the right doctor, with right equipments. It will also help you follow the necessary precautions after the surgery, and to take advanced action in case you are developing a complication. If you follow the above advice then, we are sure that you will end up as a satisfied user of the Lasik technology. This entry was posted in Lasik Guide on August 4, 2014 by zednetwork. This entry was posted in Eye Doctor Singapore: When to see an eye doctor? and tagged IFTTT, Tumblr on August 2, 2014 by zednetwork. LASIK is an established eyesight correction surgery. It has stabilized and evolved over time. For this reason, most patients today are happy with its results. As there are always negative sides and risks to anything, so the same is true for LASIK also. Like any other surgery, it also has its own risks. To finally opt for LASIK, one has to be aware of inherent risks and opt for the treatment when you are fully convinced that benefits are more than dangers for your specific needs. Let us discuss the main un-certainties associated with Lasik surgery. Today, thanks to the advanced optical cornea profiling technology, one gets the vision fully restored after surgery. In case you are one of the few who do not get the desired results, then doctors will recommend enhancement treatment that is nothing but the second stage of surgery. Enhancement is done after few months of the initial surgery so that eyes are allowed fully to heal from the affects of the first operation. Only when the patient’s cornea is very thin or irregularly shaped, doctors do not go for the subsequent surgery and correct the vision only using contact lenses or glasses. Such instances are rare, and depend on the particular patient or doctor, but can certainly happen in some cases. The refractive corrections are done using Lasik, but one cannot treat the age-related disorder called Presbyopia. In such cases, even after Lasik the patients are required to wear glasses for the correct near vision. It is rare, but some patients experience recurrent of original problems within few years after the surgery. This problem is more seen in patients of farsightedness. If you are using reading glasses then, the chances of recurrence or need of secondary surgery in few years are more than other patients. Anisometropia: This situation comes with a difference in refractive power of the two eyes. Aniseikonia: This condition has difference inside of the image between 2 eyes. Double vision in which patient sees two images. Fluctuation in vision in day to night or day to day. Higher sensitivity to shadows or light. Getting halos around light sources, especially in the night. Sometimes these symptoms persist for few months after the surgery and go with time. In few cases, they remain and will need after treatment to correct the situation. After surgery, most patients get dry eye symptoms. That is why doctors prescribe artificial tears to correct the situation. It remains for some time and situation become normal in few months. In some case the dryness of eyes increases with time, causing burning sensation and redness of eyes. Such situation needs additional treatment to improve tear generation to avoid permanent damage to eyes or vision. It is very rare, but chances cannot be entirely ruled out. In most cases, the patients are made to use glasses or contact lenses if correction is not as desired. In few rarest cases due to eye infection, malfunction of equipment, eye scarring, etc. 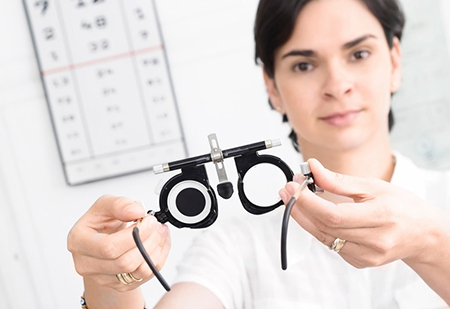 there may be a situation when the eyesight is lost, but this happens only when there are some patient-related complications or when patient has not adhered to the safety aspects and counseling after surgery. In most of the cases, the patients get excellent results, and get rid of the contact lens and glasses after Lasik. It gives them an altogether different life and opens so many opportunities. This entry was posted in Lasik Guide on July 28, 2014 by zednetwork. We also suggest, before undergoing surgery one must talk to his or her doctor about particular expectations if any, it will help the doctor to take the required steps as part of the treatment to give the best results to the patient. Immediately after the operation, the patient gets burning sensation in the eye, as if there is something in the eye. One can also get excessive moistness and tears in the eye. Till the time eye is not fully healed, the vision is somewhat blurred. In such situations, you are advised to use artificial tears or keep your eyes shut for some time to remove the feeling. The patients are advised that during initial healing, they must not rub the eyes, or it will dislodge the cornea flap thereby making it necessary for you to go through additional treatment to reposition it again. If you have pain or higher discomfort, then the doctors sometimes prescribe pain relievers. Besides artificial tears doctors also prescribe antibiotic drops to be used from the day of surgery up to few weeks. It helps to prevent infection and ensures quick healing of the cornea. The patients sometimes get other complications, as sensitivity to light, hazy eyesight, seeing light bursts and getting halos around light in the night. These symptoms are more common immediately after surgery and continue for few days. They are cured as eyes heal, but if they persist then consult your doctor for proper treatment. If you are having extreme pain or your vision is getting even worse, you must consult a doctor immediately on the first night itself after the surgery, and do not wait up to the first scheduled visit. After the operation, the first visit is normally planned after 24 hours so that doctor can check your eyes and the vision. The patient keeps on using the artificial tears and antibiotics, even if everything if observed to be ok. Normally, the vision remains slightly blurred for few days, and it is advisable that you avoid traveling, and if possible takeoff for few days, to take full rest. Before starting with sports or jogging, ask your doctor. If all goes well, it can normally be started in 3 to 4 days, especially the low-intensity sports. The high-intensity sports are allowed only after 2 to three weeks. Be careful while swimming, hot bath, sauna. Do not engage in such activities till the time doctor gives a clear go ahead. Avoid using external agents as lotions, creams and makeup; else they may cause buildup on eyelids and infection. Start reusing them only when your doctor allows that. After the operation, the vision will be restored in 1-2 weeks, but it will keep on changing for few months. It fully stabilizes within six months of the surgery. If things do not workout as planned, doctor may resort to after treatment, for correction of errors. For this, the patient is expected to regularly visit the doctor so that he is aware of the progress. One important precaution, if you develop an unusual symptom or complication in your eyes then contact the doctor immediately, else it may lead to irreparable damage to your vision or complete loss of eyesight. This entry was posted in Lasik Guide on July 21, 2014 by zednetwork. If you are reading this article on Zednetwork.com to know about Lasik procedure, then you are at the right place. 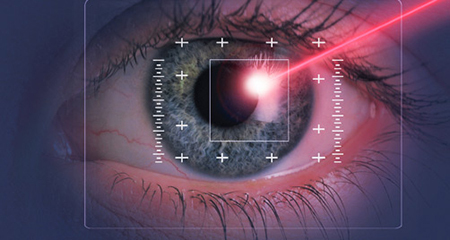 LASIK stands for Laser-Assisted-in-situ-Keratomileusis. Today this technique is extensively used to cure eyesight related issues as myopia, hyperopic and astigmatism. 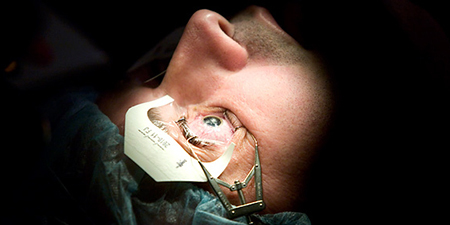 The technique works by reshaping the cornea so that the incoming light is properly focused on the retina to get correct vision. In normal situations, the operation of both eyes takes 15 minutes, and one can have a normal vision restored in 24 hours or so. In the beginning, doctor uses a laser called femtosecond to cut a hinged flap in the cornea and then folds it back. In the second stage, the doctor works on the corneal tissue to reshape it, by using the Excimer laser. The cornea is reshaped depending on the problem like myopia, astigmatism or hypermetropia. In the last stage, after reshaping the cornea, the flap is laid back and allowed to heal naturally. One has to apply antiseptic drops for few days, and no bandages are done. 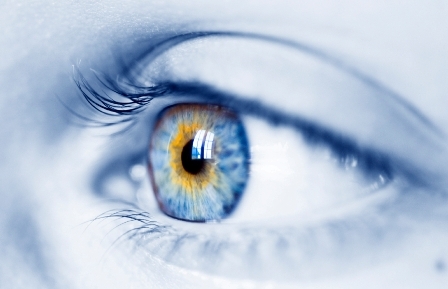 Before recommending Lasik, the eye surgeon will do a thorough analysis. It starts with the evaluation of general health condition and to check if you are taking any special medications, level of your blood sugar, BP, etc. If all is ok or taken care of, in the next stage the doctor does a complete checkup of your eyes like checking pupil size, shape of the cornea, type and extent of the refractive error and any other eyesight related complication. The eyes are also checked for the moistness so that after the treatment you should not face the problem of dry eyes. If you are finally selected for the surgery, the doctor will advise you not to wear contact lenses for few days or week so that they may not affect the shape of the cornea, and may check the refractive error again to be sure of the actual correction required. Today doctors are using many advanced methods as wavefront technology to get exact details of corneal error. Lasik is a great technology that can give fantastic results and will improve your life and self-confidence substantially. 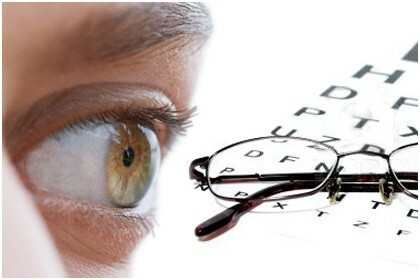 No glasses and no contact lenses and vision are normally improved to 20/20 correction. Though sometimes the results are not that great and one may even get 20/40 or even less vision. Even if you have to wear the contact lenses or glasses after the surgery, the eye number will be drastically reduced. Over time, the methods have stabilized, and technology has improved. There are advanced methods available to take accurate cornea profile and do the surgery with precision. Lasik normally has success rate, but depending on specific health condition of patients and precautions taken after the surgery, problems like night halo can occur. If the doctor decides, you can even have a second visit for correction surgery called touch up procedure to take care of such complications. If you are above 40 then even with Lasik you may need reading glasses because of age-related presbyopia. Being the user of the technology, you must ensure that to get the best benefits, you must discuss all aspects of the procedure with your doctor and to do so; the information given in this section will be extremely useful. This entry was posted in Lasik Guide on July 14, 2014 by zednetwork.